With Easter just around the corner, Unilever UK has teamed up with Kinnerton confectionery for a new range of Easter eggs. 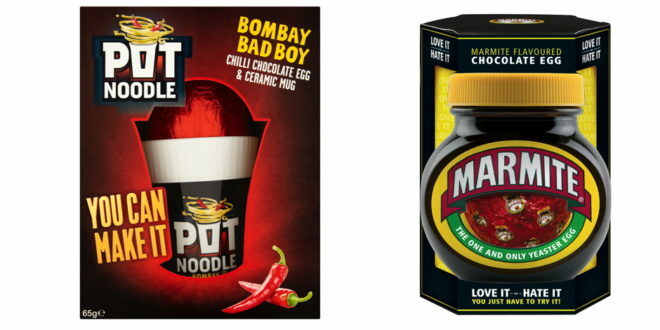 The offering boasts a Pot Noodle Bombay Bad Boy Mug and Egg, as well as a Marmite Hollow Chocolate Jar and Marmite Chocolate Egg. 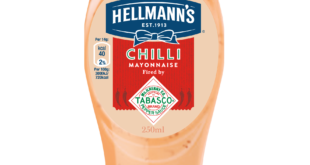 Available for fans to purchase now, the Pot Noodle version boasts a chilli flavoured milk chocolate Easter egg, which comes with a branded ceramic mug. Meanwhile, Unilever’s Marmite variant has been brought back with the same Marmite tasting chocolate, alongside brand new packaging.